Flashy, personable, versatile Appaloosa horses are among the most popular horses in the United States and around the world. It should come as no surprise that these colorful horses have an equally colorful past. 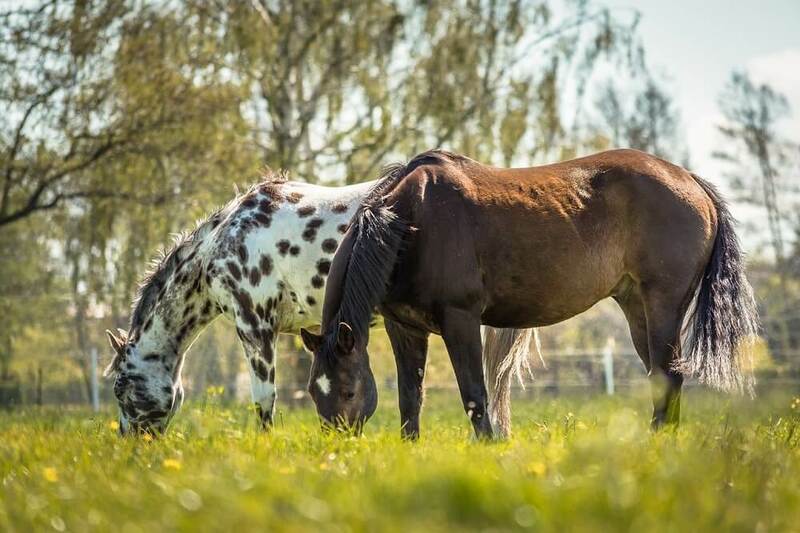 In this article, we share 10 things you didn’t know about the history of Appaloosa horses. Read on to learn more. The earliest spotted horse is said to be Rakush, a Persian warhorse who lived around 400 BC; however, this is not correct. Spotted horses have been around for many thousands of years. In fact ancient cave paintings in France and many examples of ancient Chinese art show that spotted horses have been around for a very long time. 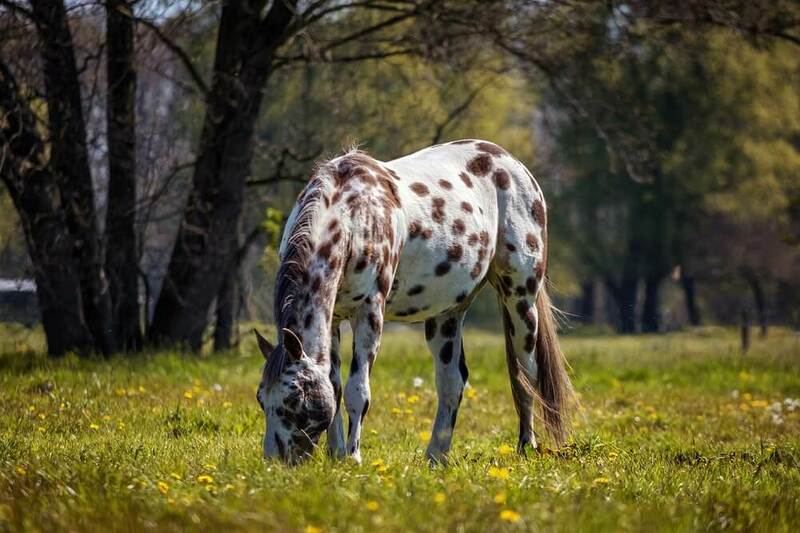 Modern Appaloosa horses are descendents of these ancient spotted horses. They were first brought to Mexico by Spanish explorers in the 1500s. From there, they spread throughout North America following the Pueblo revolt. 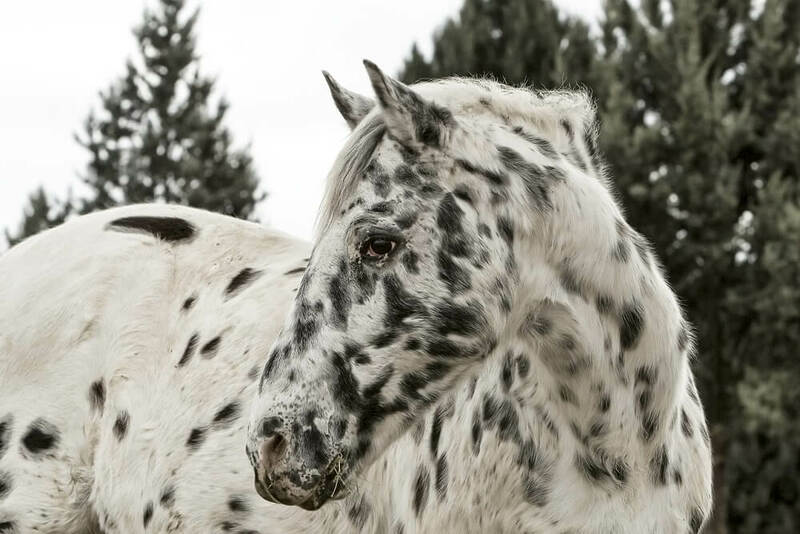 In the 1700s, breeding and cultivating of these spotted horses was taken up by the Nez Perce Indians in the Pacific Northwest. They had been mostly fishermen, staying in one place, but when they took up horse breeding they also took up a fairly nomadic lifestyle taking up buffalo hunting for a living and trading in life in stationary long-houses for an active, adventurous tipi-dwelling way of life. The Nez Perce became experts in cultivating these excellent horses through selective breeding. They traded off their poorer stock and gelded their inferior stallions to develop a horse breed that became well known for beauty, intelligence and strength. Meriwether Lewis of the Lewis and Clark expedition was especially impressed by the horses and made note in his official diary of their coloring, stamina, speed, strength and intelligence. These horses were not always called Appaloosa. The name developed over time as settlers into the Nez Perce territory began referring to the spotted horses as “a Palouse horse”. This was in reference to the Palouse River which ran through Nez Perce territory. With the passage of time the name became more and more contracted, first evolving into “a palousey” and finally becoming the “Appaloosa” with which we are familiar today. As is always the case, as Westerners began settling in the Nez Perce territory, the native people were displaced and eventually forced into war. They lost the Nez Perce war of 1877 and also lost their horses. The breed did not die, though, because it was quite popular with cowboys of the time who use the flashy, strong, intelligent horses to work cattle and to participate in rodeos. Interest in the breed persisted into the 20th century when an article appeared in Western Horseman magazine in 1937 extolling the virtues of the Palouse horse or Appaloosa. This spurred the formation of the Appaloosa Horse Club in 1938. The goal of the club is to improve and preserve the breed, and it continues with these goals even today in the 21st century. Toward the end of the 20th century in 1975, the governor of Idaho, Cecil Andrus, declared the Appaloosa horse to be the Idaho State horse. These horses are still much loved in Idaho and across the United States because of their reliability, good looks, strength, intelligence and great personalities. In 1992, the Nez Perce tribe of Idaho began a project to teach their youth about horsemanship. This program has since expanded to include cultivating and breeding a traditional, authentic Nez Perce horse building upon the Appaloosa foundation.